Amazing - this is my 200th post. Travel certainly expedites the amount of writing I do. Good thing I continue to plan more adventures. Outside my window...beautiful but windy day. I am thinking...that chocolate chip cookies on Frontier flights is a great thing. Best of both worlds. I am thankful for...a great weekend with friends, the mountains, and skiing. I am wearing...Peruvian Party Pants baby! I am remembering...how great it is to have a ski valet, hot tub and steam room within easy reach. 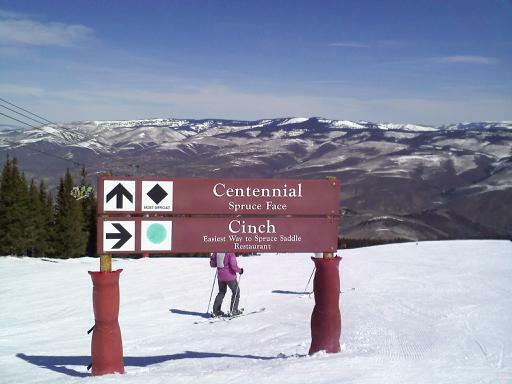 Love Beaver Creek. On my mind...that life is precious and you need to be thankful daily. Praying for my co-worker's family. Noticing that...there is time to bike after work. From the kitchen...beef paenang curry. One of my favorite things...trying new restaurants. 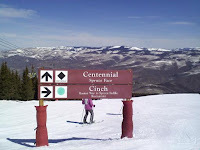 From my picture journal...my first black diamond run at Beaver Creek on Sunday!